Discarded PET bottles are collected, sorted, cleaned, shredded, and made into ‘washed flakes,’ which are then used to produce a variety of products, starting from polyester fiber, which is used for a variety of applications like filling material for cushions, pillows, and converted to fabrics for use in clothing, upholstery, etc. 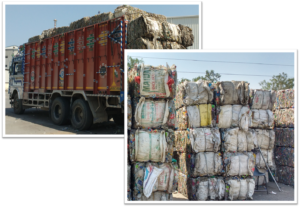 Recycled PET (a small percentage) is also used for the manufacture of PET straps, monofilament, sheets etc. 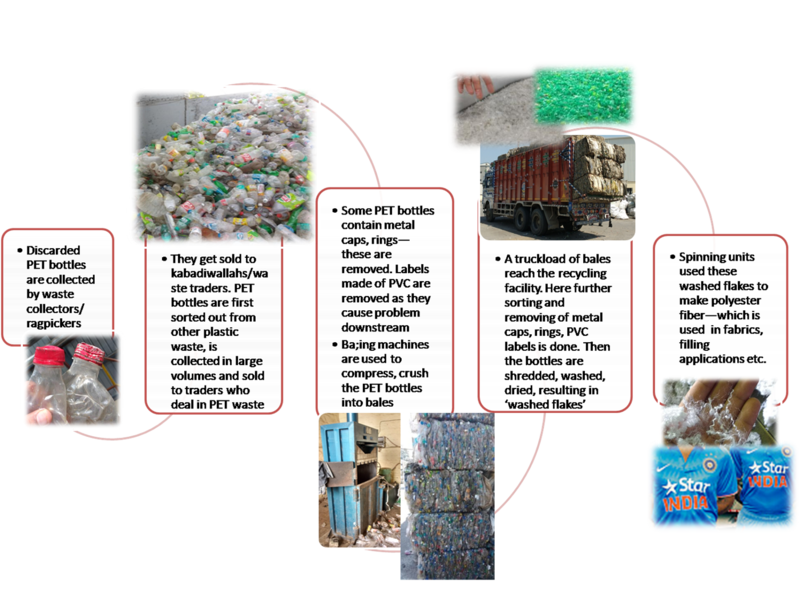 There are a large number of people involved in the PET recycling business, starting from the waste collectors to kabadiwallahs to small to medium traders, recyclers, and manufacturers who use recycled PET for various products. 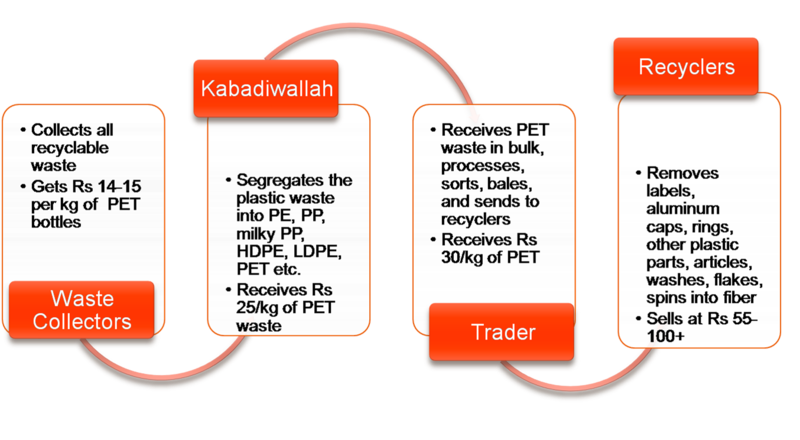 The following chart provides a simplistic illustration of the participants in the PET recycling business in India. The kabadiwallahs get mixed-plastic waste. They run sorting operations, where people sort the waste into polyethylene (PE), polypropylene (PP), milky PP, HDPE, LDPE, PET etc. This is done mostly by visual inspection, by subjecting the plastic item to a series of improvised tests like touch, bending, snapping, applying solvents etc. The different plastics are segregated and sold to different traders. The kabadiwallahs get Rs 24-25/kg of PET bottles. Traders receive anywhere between a few hundred kgs to a few tons of PET bottles a day. Each and every PET bottle is scrutinized rigorously, through manual inspection. First, all colored PET bottles (green, amber) are segregated and sold separately. Metal caps, rings (a feature common in PET bottles used for packaging liquor etc.) are removed by hand. There are many kinds of labels applied on PET bottles—PP, PVC etc. PVC labels pose a particular problem, as they could seriously jeopardize the fiber manufacturing process. [PVC and PET have a similar density, hence it is difficult to separate by flotation; but PVC and PET have different Internal Viscosities, which makes it very difficult to process PET contaminated with PVC.] Hence all PVC labels (identified by sight) are removed. Bottles made from other plastics are removed. Once all this is done, the bottles are baled—i.e., crushed to make compact bundles, each weighing 120-140 kgs. Baling makes it possible to transport PET bottles efficiently—by making it possible to transport 8-9 tons in a full-scale truck. 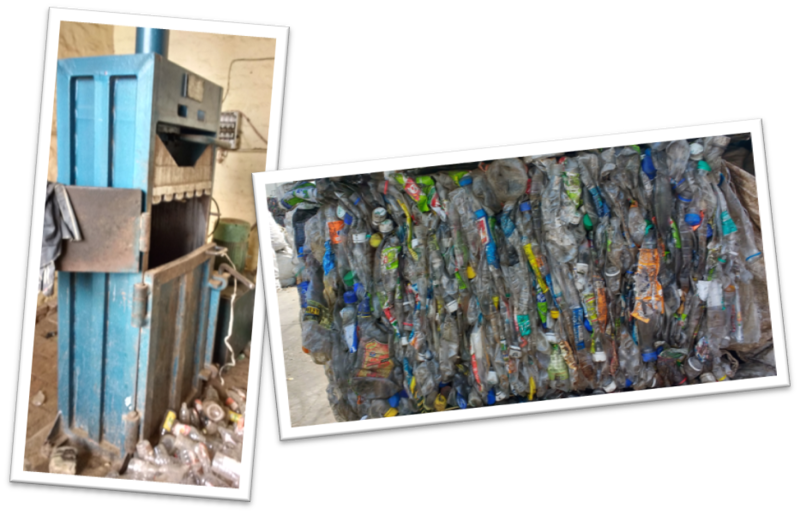 Each baling machine can bale around 0.7-1 ton of PET bottles in a day. It takes approximately ten workers (sorters, packers, balers) to produce a ton of baled PET bottles in a day. The traders procure at Rs 24-25 per kg. And they incur around 4 Rs per kg as costs in sorting and baling (costs include labor, electricity, packing costs, rent, and ‘shortage’. Many PET bottles when they arrive at the trader may contain non-trivial amounts of residual liquids (water, juices, other beverages, liquids stored in the bottle). Some of these liquids are emptied during the sorting process. Some of the liquids are crushed out during the baling process—all of which causes a loss in weight of the PET bottles-shortage is the term used to denote this loss. The traders sell to the recyclers at Rs 30-31 per kg (for white PET bottles; green bottles yield a slightly lower rate; amber PET bottles yield even lower). Trucks carrying bales of PET bottles arrive at the recyclers. The bales are opened and the sorting, cleaning process starts all over again. The bottles are put through various stages of manual, semi-automatic and automatic sorting, cleaning processes. All PVC lables, bottles are removed. Any metal component that might have slipped in (like caps, rings, springs used in spray bottles etc.) are diligently removed. The bottles are shredded, and the plastic (non-PVC plastics like PE, PP) components are separated by flotation. The flakes are subjected to further washing, drying and are ready (washed flakes) to be shipped to the manufacturing units. 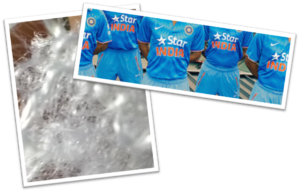 The washed flakes are melted and spun into fibers of various grades, and used to make PET sheets, monofilament, strap etc. The process mentioned above portrays how the recycling process would work in the organized sector. There are a whole lot of units, plants that produce washed flakes of various qualities and grades that are once again fed into other ‘informal’ units that produce a range of polyester/PET products. For example, in India, regulations do not allow recycled PET to be used in production of bottles. But there are units that utilize recycled PET for production of bottles—mostly by mixing a % of recycled PET with virgin PET in producing PET bottles. As can be guessed, it is difficult to ascertain or comment on the number of such units, the volumes they handle etc. But they do exist. 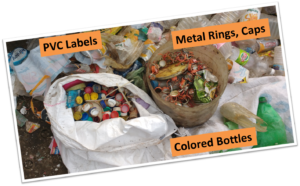 If one inspects some of the bottles used by non-mainstream manufacturers for storing oils, beverages etc., the use of recycled PET can be spotted by the slight yellow tinge in such bottles.